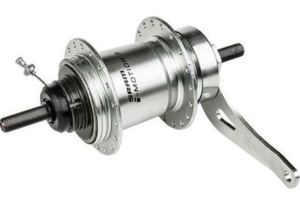 BRUSSELS, Belgium – The last Friday imposed anti-dumping and anti-subsidy duties on e-bikes imported from China apply to all kinds of electric bicycles; from entry-level to high-end ones as well as for regular 250 Watt models and speed pedelecs. The European Commission document “Implementing Regulation 2019/73” of 17 January 2019, which was published one day later in the EU’s Official Journal, provides a very detailed account on why the European Commission is imposing these extra duties. Here’s a summary. The on 18 January published document provides very detailed reporting on claims made by various stakeholders. 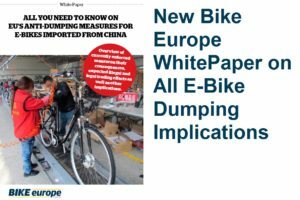 It also offers equally detailed accounts on how the European Commission investigated the accusations on dumping by the European Bicycle Manufacturers Association (EBMA) during the period of 1 October 2016 to 30 September 2017, and on how it arrived at conclusions that refute the stakeholders’ claims. 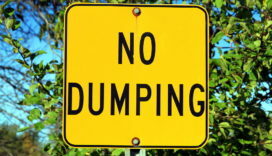 The Regulation 2019/73 document also shows the results of the investigation on dumping by the Peoples Republic of China (PRC). Here’s an overview of these results and conclusions that formed the bases for the imposition of per company targeted dumping duties. These dumping duties vary from 73.4 percent for the Bodo Vehicle Group, 24.6 percent for Giant Electric Vehicle to 33.4 percent for the majority of Chinese e-bike exporters. The Commission found significant State interference in relation to the aluminium market as well as with the operation of market forces. The Commission concluded that the preferential tax rate was a financial incentive of a quasi-permanent open-ended character which could also serve the purpose of attracting capital at discounted rates, thereby significantly distorting competition over a long period of time. Commission also concluded that the tax deduction for R&D expenses was recurrent, not limited in time while non-payment for land-use rights occurred. 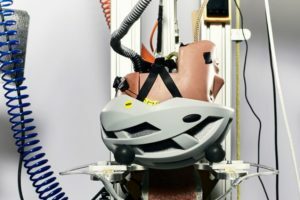 One interested party argued that the product scope of the investigation should be limited to low-end electric bicycles. 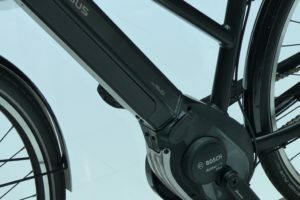 Mid- and high-end electric bicycles should be removed from the product scope, since there is allegedly no dumping taking place in the mid-and high-end segment of electric bicycles. The Commission recalled that the product concerned and the like product were defined on the basis of their physical characteristics. Criteria such as price, cost and profit margin cannot be used to define the product concerned. As to quality and performance, beyond the fact that the interested party did not explain how to measure and quantify these elements in a systematic way, the Commission recalls that quality and performance can be taken into account through adjustments for physical characteristics. In any event, even if they were relevant for defining the product scope, quod non, the Commission notes that although several interested parties put forward similar claims during the investigation, none provided any pertinent information that would have justified or allowed for a possible segmentation of the market. In the absence of any evidence, the Commission in any event had to reject that argument. The Commission agrees that a change in product mix may influence the evolution of the average price of imports from the PRC. However, it remains that the average prices of imports from the PRC have been constantly and significantly below the average prices from any other source of supply (…) which led to findings of substantial undercutting and dumping. The Commission found that the Union industry suffered a significant loss of market share of 24 percentage points. The Commission found that, in particular between 2014 and 2016, the employment mirrored the production much more closely than the production capacity. During the investigation period, where the Union sales and production developed negatively despite a growing Union consumption, the Union industry was not able to decrease employment, leading to a decreasing productivity per employee. 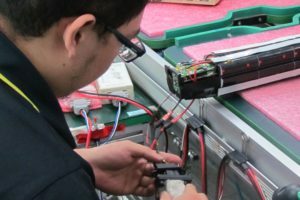 Such a decreasing productivity and the consequent negative impact on the profitability of the Union industry is however directly linked to the increasing quantities of dumped imports of Chinese electric bicycles during the period considered. It is undisputed that the Union industry suffered a significant loss of market share of 24 percentage points, mainly to Chinese imports, which gained 17 percentage points of market share during the period considered. Overall, the Commission therefore confirmed that the trends referred to earlier characterized depressed and negative situation and confirmed its conclusion that the Union industry suffered material injury. The Commission noted that a majority of the importers surveyed indicated that they would continue their activity in case definitive duties were imposed. Likewise, a majority had found an alternative source of supply or continued to import from the PRC. The Commission concluded that the imposition of measures was not in the interest of importers. The Commission maintains, however, the finding that this negative impact is mitigated by the possibility to source suitable electric bicycles from the Union industry, from other third countries and from the PRC at fair, non-injurious prices, and that it does not outweigh the positive effect of measures on the Union Industry. The Commission reiterates that the imposition of measures on conventional bicycles did not reduce consumer choice, but increased the diversity of suppliers and of their countries of origins. 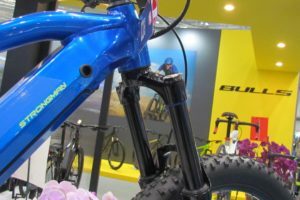 The same market development is expected in the case of electric bicycles. By the way; CN code 8711 60 10 refers to regular 250W e-bikes. CN code 8711 60 90 applies to speed pedelecs. All other companies – 79.3 percent.